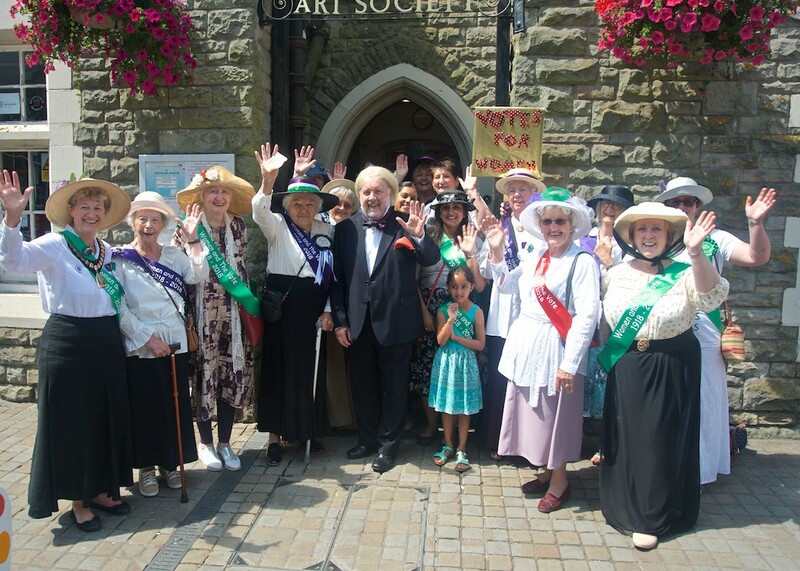 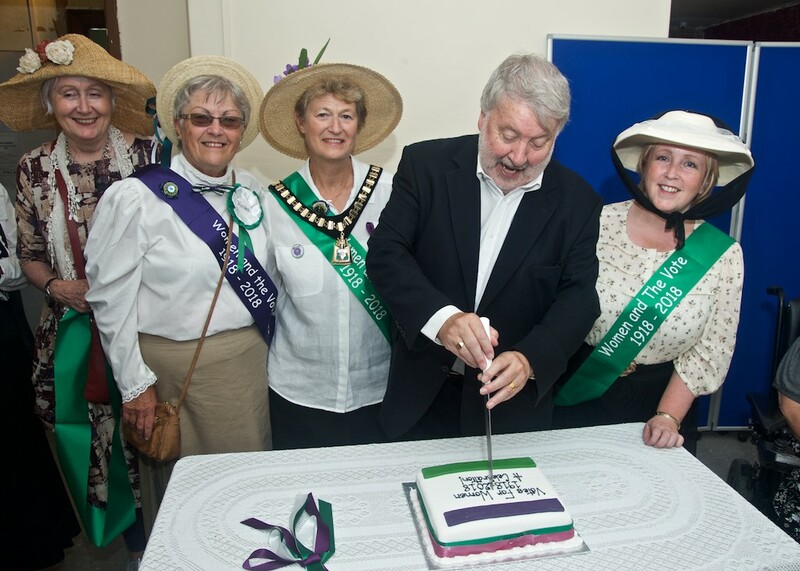 Porthcawl museum led the carnival procession this year with over 100 women marking the centenary of women suffrage. 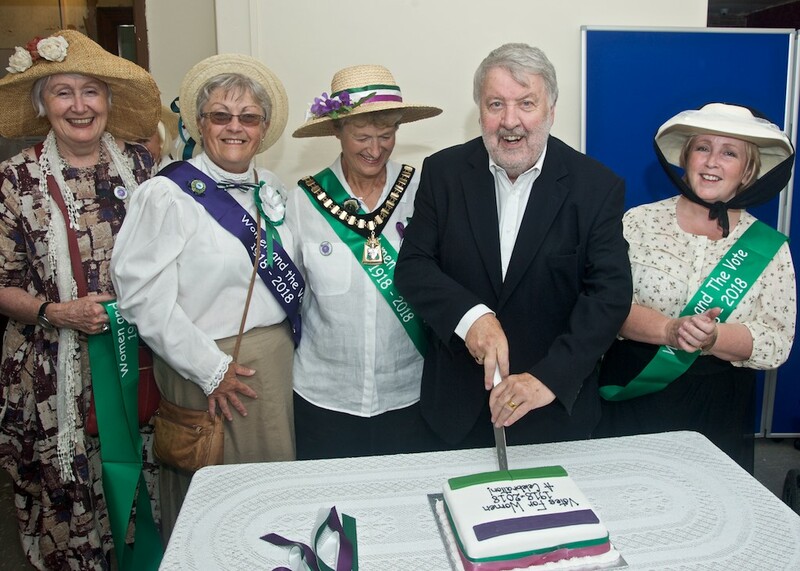 The march followed months of planning by museum secretary Ceri Joseph and her band of museum volunteers. 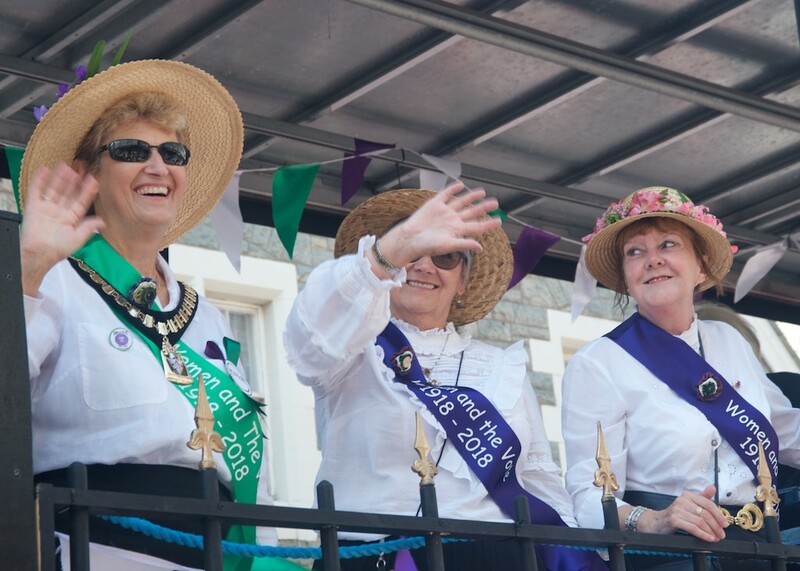 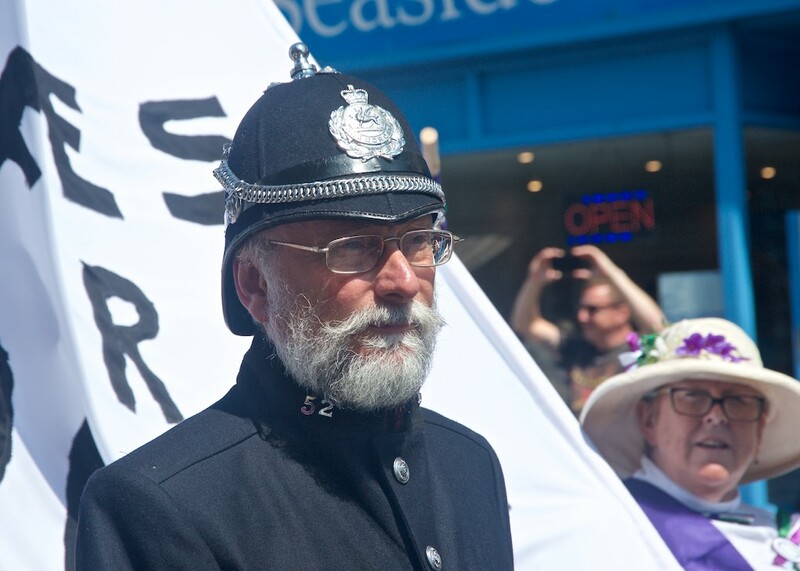 Many were in costume and escorted by the museums very own period police force, the museum float was decorated in the Suffragette and Suffragist banners and occupied by local civic and political supporters including Madeline Moon MP, Suzy Davies AM and Porthcawl Town Council Mayor Norah Clarke. 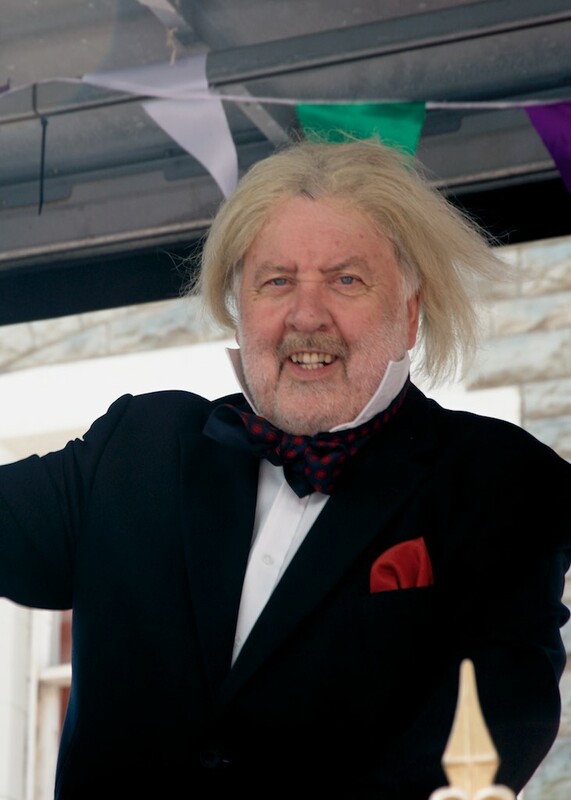 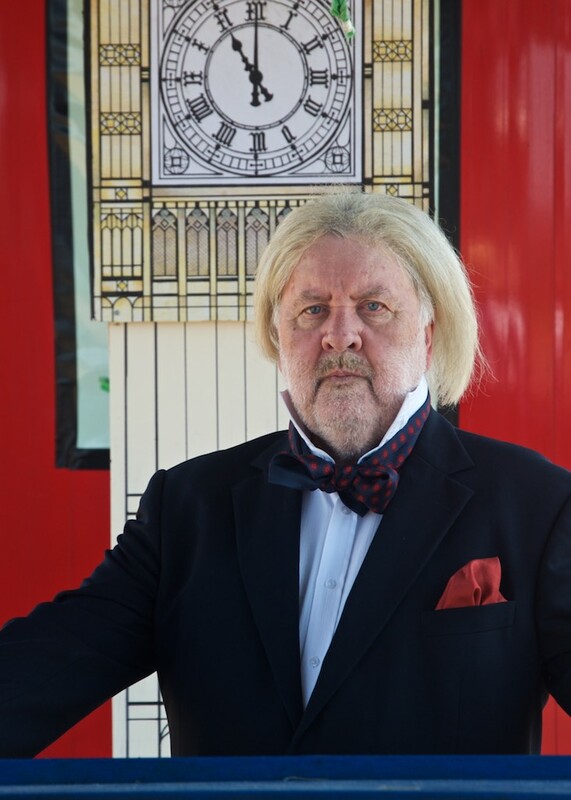 Trying to keep order on the float was Lloyd George aka BBC presenter Roy Nobel, Roy visited the museum earlier in the day and following a tour of the current exhibitions cut a celebration cake and enjoyed some refreshments laid on by the museum volunteers.